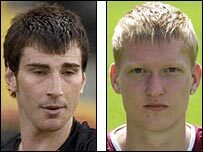 Hearts have sent five fringe players out on loan, with Craig Sives joining Dundee, while David and John Armstrong have signed for Cowdenbeath. Defender Marco Pelosi, 21, is returning to Raith Rovers for next season and goalkeeper Jamie MacDonald does the same at Queen of the South. 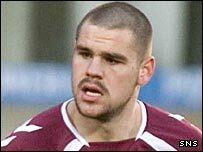 MacDonald, 21, made 14 appearances for the Dumfries outfit after joining on loan from Tynecastle in January. Central defender Sives, also 21, played for Partick Thistle last season. David Armstrong, 20, played 10 times for Cowdenbeath during the last campaign and now fellow defender John, 20, will now join him at Central Park. Cowden manager Brian Welsh reported that former Blue Brazil boss Mixu Paatelainen had also bid to take David Armstrong to TPS Turku. "Everyone at Central Park knows how good a player David is from his loan spell with us last season," Welsh told his club website. "He is a fantastic all-round footballers with a great attitude. "John is also principally a centre-half and is highly thought of at Tynecastle. "He is a terrific defender and a big, strong lad. "I tried to get him on loan last January, but Hearts were unwilling to let him go at that point due to first-team commitments."